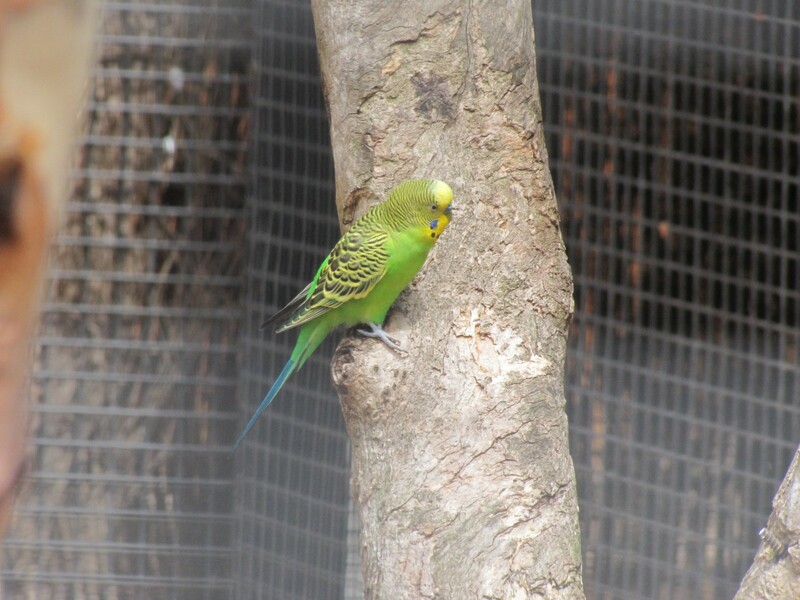 The small Australian parrot known as the Budgerigar would have to be one of the most popular pet birds in the world. They are easy to keep and are delightful companions, ideal for even small apartments, but equally at home in a large aviary. This small parrot, however, is a native of the drier inland parts of Australia where it can sometimes form spectacular flock in the thousands. Only on one occasion have I seen this species in large numbers. This was on a visit to a remote farming area in north western Victoria. It was a memorable sight. I am quite pleased with the photo above because it was taken through the wire netting of one of the aviaries in the Adelaide Zoo.